Lakes Escapes Ltd takes its obligations concerning data protection seriously. We are providing this notice, so you have information about how we collect and process your personal data on our website. We ask you to please read this Privacy Notice as it has important information you need to know. 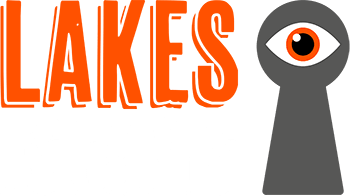 Lakes Escapes Ltd provide a Escape Room experience to private individuals or commercial customers. Lakes Escapes Ltd strictly protects the security of your personal information and honours your choices for its intended use. We carefully protect your data from loss, misuse, unauthorised access or disclosure, alteration, or destruction. We may send a cookie, which may be stored on by your browser on your computer’s hard drive. We may use the information we obtain from the cookie in the administration of this website, to improve the website’s usability and for marketing purposes. We may also use that information to recognise your computer when you visit our website, and to personalise our website for you. Our advertisers may also send you cookies. Most browsers allow you to refuse to accept cookies. (For example, in Internet Explorer you can refuse all cookies by clicking ‘Tools’, ‘Internet Options’, ‘Privacy’, and selecting ‘Block all cookies’ using the sliding selector.) However, this will have a negative impact upon the usability of many websites, including this one. Send to you our newsletter and other marketing communications (relating to our business which we think may be of interest to you by post or, where you have specifically agreed to this, by email or similar technology (you can inform us at any time if you no longer require marketing communications to be sent by emailing us at info@lakesescapes,co.uk). Lakes Escapes Ltd may share information with third party suppliers as required for external services, designs and materials, however this will only be for the contract we are carrying out at that time. You may instruct us not to process your personal data for marketing purposes by email (info@lakesescapes.co.uk) at any time. In practice, you will usually either expressly agree in advance to our use of your personal data for marketing purposes, or we will provide you with an opportunity to remove the use of your personal data for marketing purposes. Lakes Escapes Ltd has a newsletter/blog that is sent out to clients on a regular basis. This is only sent to clients who have given explicit consent to do so. We may also ask for optional customer service feedback. Although, we hope that the quality of our service and people will be enough for you to recommend us to others and view our website. You have the right to review the personal data held by us and have inaccurate information about you corrected. To understand more about our data processing activities or to request access to your personal information please contact us 07388 933 603 or email info@lakesescapes.co.uk. Lakes Escapes Ltd may keep your details on record for as long as it is necessary to meet record keeping requirements. We hold booking, invoice and email details for seven years. They are then deleted in accordance with data protection and other applicable legislation. Lakes Escapes Ltd may change this Privacy Notice from time to time in order to reflect changes in the law. "Really good fun - well worth a try. We may get addicted to these...!"